The Baltimore City Department of Public Works offers several fact sheets, applications, and presentations on various services the department offers. Please click on any of the tabs below to learn more. Information about general operations of the Department of Public Works can be found here. 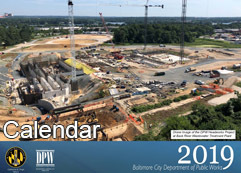 A year’s worth of useful information on important DPW activities and events. Todo un año de información útil sobre actividades y eventos importantes de DPW. DPW takes the lead on keeping Baltimore clean, but these guides help residents do their part as well. The City’s Annual Report on how we remediate illegal dumping. Information for residents to keep their property and neighborhood clean, and where to go for help. 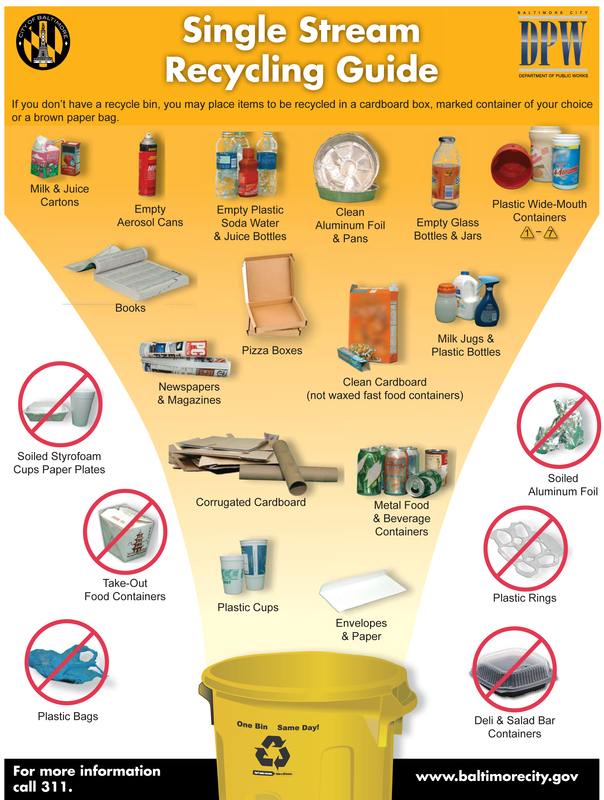 What we’ll accept at our Citizens Convenience Centers, and where they’re located. The Department of Public Works maintains three reservoirs that provide drinking water for 1.8 million Baltimore-area residents as well as certain portions which are used for recreation. Register your boat to be used in one of our reservoirs. These documents explain how residents and property owners can help reduce polluted runoff. An introduction to stormwater and Baltimore’s stormwater remediation program. Comprehensive information on stormwater and remediation measures for homeowners. Comprehensive information on stormwater and remediation measures for Non-Single Family Property. Credit application for single family properties. Credit application for non-single family properties. Tips for organizing and registering an event that qualifies residents for stormwater fee credits. Simple, fun ways to save on your stormwater fee and help reduce polluted runoff. Religious institutions are eligible for sharply reduced stormwater rates. You love your dog. But failing to pick up after your dog hurts the environment and your community. How you and the City work together to stop polluted runoff. Latest information on stormwater remediation activities. We have worked to accommodate our low-income customers who need assistance paying their water bills. Below are descriptions of some of the programs available, and how to apply. Baltimore City Department of Public Works offers 4 easy and convenient ways to pay your bill. Customers who have fallen behind in their bills can get help to catch up. Customers age 65 and older may qualify for a discount on their water and sewer charges. You don’t notice water pipes and sewer lines until something goes wrong. Here are tips on how to keep those pipes functioning correctly, and what to do if you need help. Toilets are not trash cans. Learn what can safely go down the drain. Sewage backups are a nasty mess. These tips can minimize the distress. What commercial food service establishments must know to comply with rules regarding fats, oils, and grease. This poster is designed for commercial kitchens, but it has good ideas for homes as well. Avoid the accumulation of fats, oils, and grease in your sewer lines, which can block pipes and lead to sewer backups.